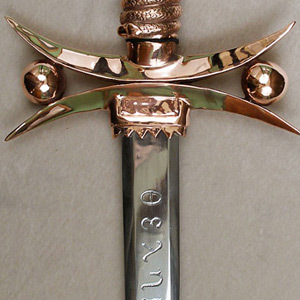 The sword as conceived by Aleister Crowley. 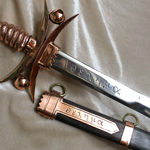 Based on his writings and the Ace of Swords in the Thoth Tarot. 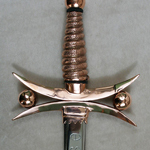 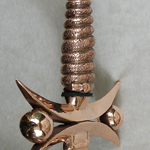 The hilt is copper plated with the 3 spheres forming an equilateral triangle. 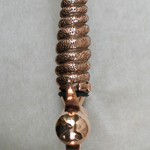 The handle has a serpent coiled down it's length. 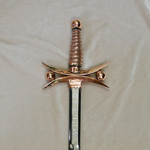 The blade is 24" carbon steel. 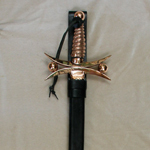 We designed a beautiful companion sheath as well with copper fittings (sheath is extra). 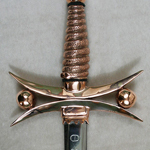 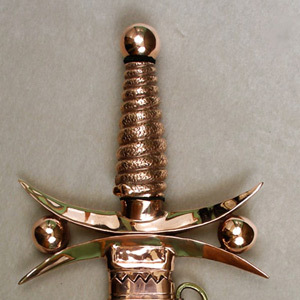 Each sword is hand-made to your specifications, with many options available.